Congratulations OHHMS Solo and Ensemble! 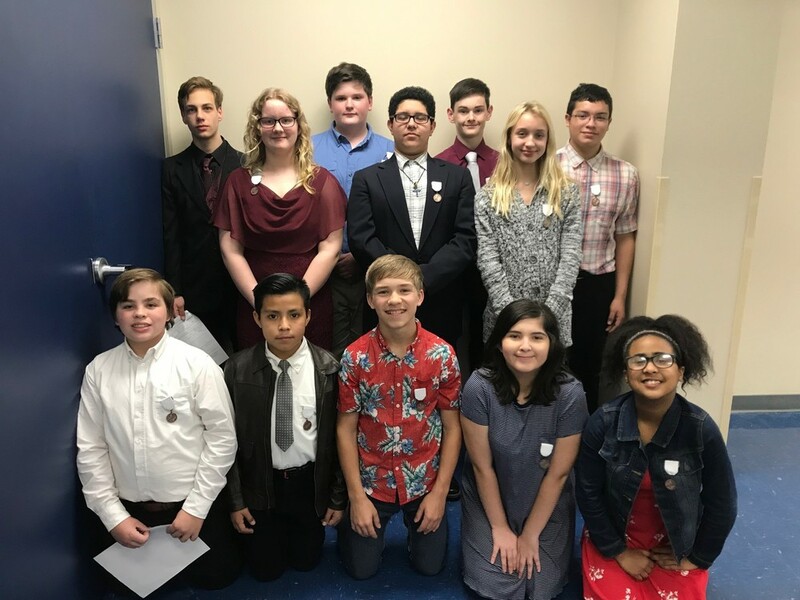 Congratulations to the following 13 OH Herman Junior High Band Students who competed at the Region 13 UIL Solo and Ensemble contest this past Friday evening, February 8th! 12 students received Superior ratings of 1, and one student received an Excellent rating of 2. Students receiving a Superior Rating of 1 are pictured in photo. Trina A., Bethany P., Kymora W., Celeste G., Hope C., Oliver C., Austin C., Carter M., Kentrell W., Diego M., Diego R., Gaven R., and Wade S.